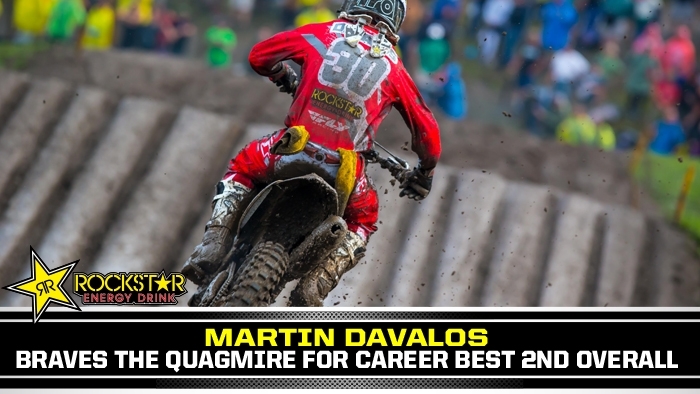 “Unadilla is an awesome track,” said Davalos. “Everyone was watching the weather coming. They didn’t disc the track really deep like they normally do here because of the weather. I think it was a good call because it down poured during our first moto. It started around the third lap and there was a lot of lightning. I did my best, but the struggle with the goggles was difficult with the amount of rain we were getting. We lounged around for awhile before the second moto because we didn’t know what time we were going to go. I got a decent start and just put my head down. I stayed positive and came out with a second in that moto and it put me in second overall. I’m super proud of myself and proud of everything. I’m thankful to be where I’m at."